What Should Your Spring Splurge Be? Spring shopping is in full swing for our clients here at Visual Therapy, and it’s always tough deciding what should be this season’s splurge item. It’s easy to go the handbag route—after all, there are so many good ones out there. But, investing in a great spring jacket or even a fabulous pair of shoes are options. Keep reading to see what your splurge item of the season should be based on your style type! Every classic girl needs a good trench coat. Try one with an unusual detail for an instant update—think frayed seams or an unexpected color such as green or pink. Renditions on the mule have been trending for a few seasons now and the ones out now are the best we’ve seen. Whether you choose a tiny kitten heel or ones with a substantial chunky block, a new pair of mules will make you look instantly chic. 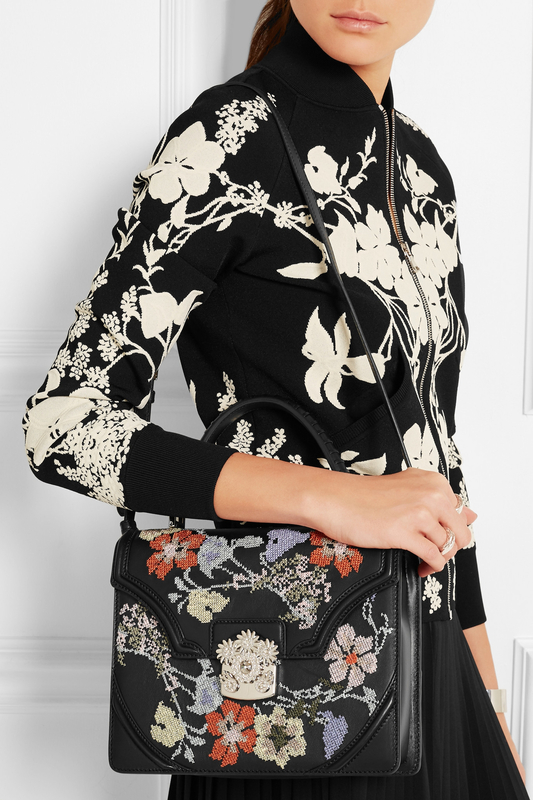 Embroidery was made for the Whimsical style type and we can’t think of a better splurge item than a beautifully embellished designer handbag. 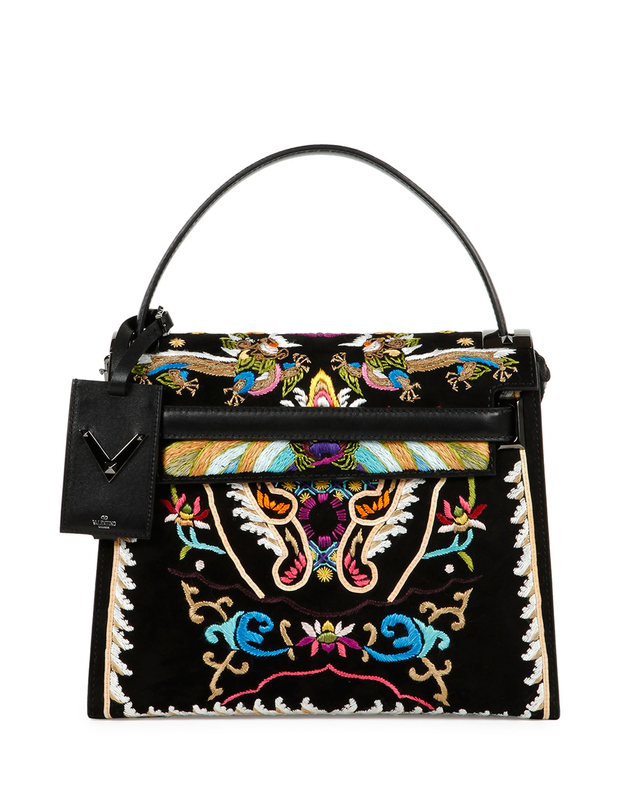 Gucci has great options, but we also love McQueen’s version—and of course—all of Valentino’s incredible offerings. A long printed duster is the easiest (and chicest!) way to dress up a casual look. Throw yours on over jeans and a tee, add a clutch and some heels, and you’re ready for a night out! Statement jewelry is our secret weapon when trying to make a simple outfit pop. Since many avant garde types love to wear black, a bold, modernist piece of jewelry is the ideal spring splurge to compliment a mostly dark wardrobe.